Shopping for new and exciting gifts every holiday season can be exhausting. If you are looking for a little help in jazzing up your gift giving this year, you’ve come to the right place. 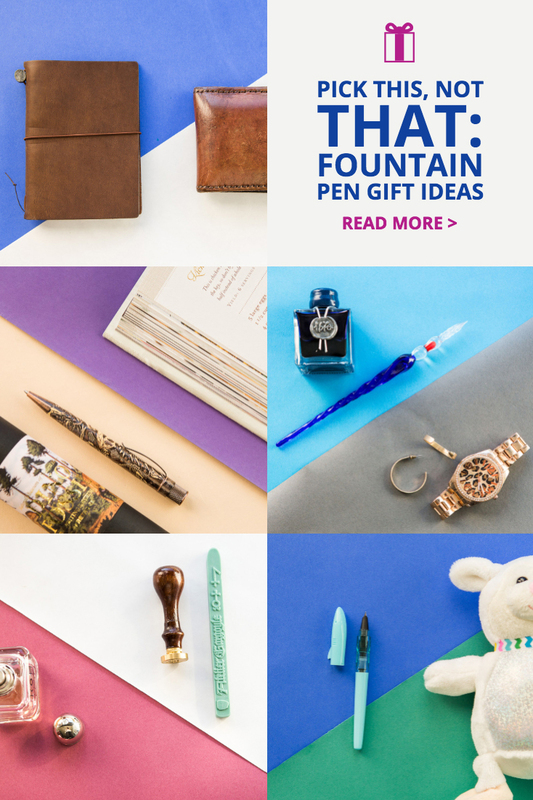 In this gift guide, we will offer you 8 unconventional ideas to replace some of the most commonly given gifts to give your loved ones a small taste of the excitement that is the fountain pen hobby. 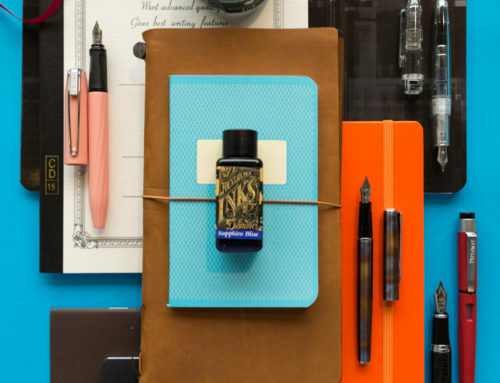 Instead of a pair of socks or a tie, try a Pilot Metropolitan! 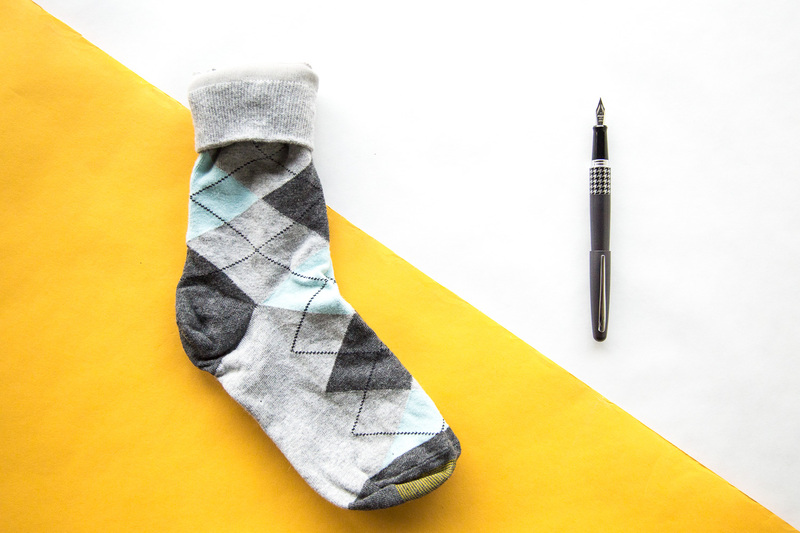 The fun patterns and colors of the Pilot Metropolitan capture your loved one’s personality in the same spunky light as a new tie or a pair of socks. However, we bet they’ll be doubly intrigued by this writing utensil that they can pair with any outfit and take everywhere they go. While ties and socks sometimes need careful planning to coordinate a matching outfit, the Metropolitan is great for any and all occasions, no planning required. Plus, you can do a little penabling on the side as you teach them about the nearly infinite ink options! 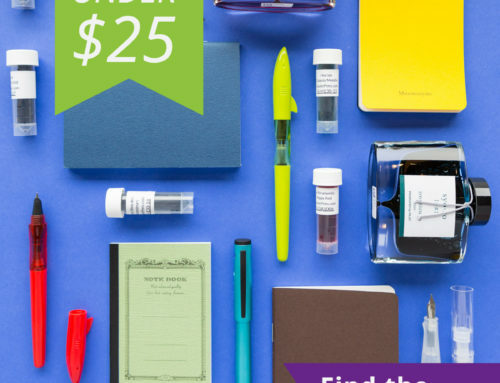 You can find the Pilot Metropolitan in a rainbow of colors for $18.50. Ditch the perfume and get a Stick of Scented Sealing Wax and a Brass Seal! If you want to find a signature scent for a special someone, try swapping that bottle of perfume or cologne for a naturally scented sealing wax and brass seal. 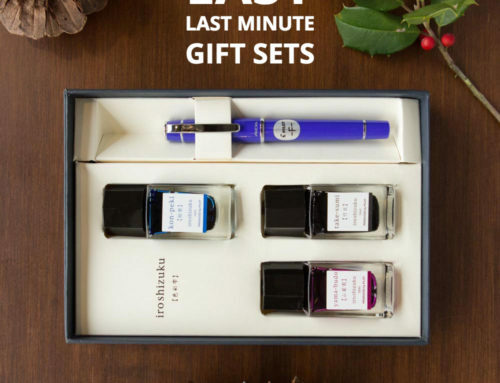 You will give them a gift that is not only all their own style but also allows them to make their individual mark anytime they pen correspondences. Atelier Gargoyle sealing wax features a blend of essential oils for a pleasant scent. The Herbin Brass seals come in a variety of shapes and letters so you can find the perfect representation of your recipient’s tastes. You can find Atelier Gargoyle Flexible Sealing Waxes for $7 a stick and the Herbin Brass Seals for between $14- $25. If something sparkly is what you desire, try a shimmer ink and a glass dip pen! Although jewelry is a generous and wonderful gift, it can be hard to pin down the perfect style for your gift. Try a shimmer ink and glass dip pen instead. 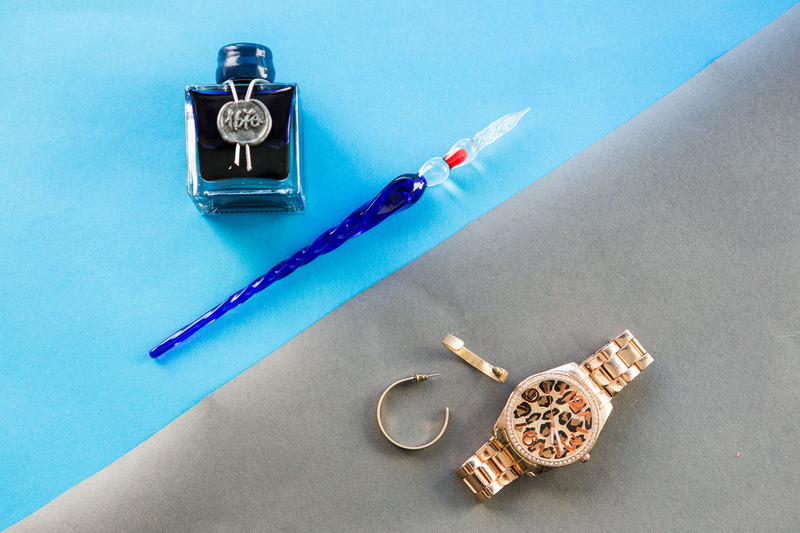 The generous flow of a dip pen lays down a maximum sparkle factor when used with a shimmering ink. 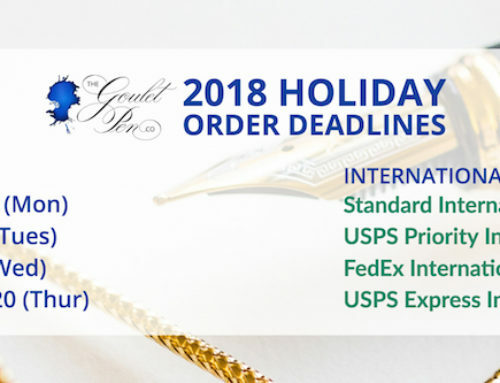 Goulet Pens offer some fantastic shimmer ink options in a rainbow of colors and variety of price ranges so you will always have the ideal ink for your gift giving. 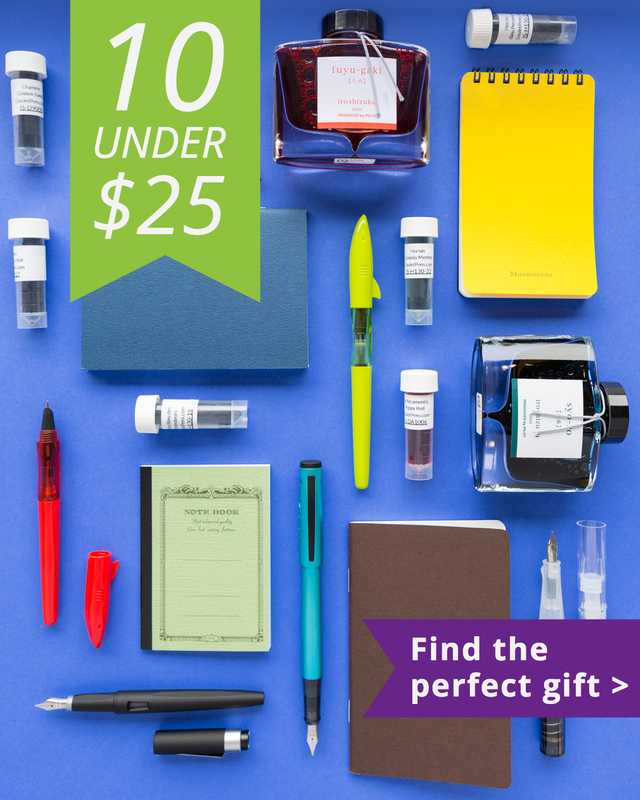 Our selection of glass dip pens range in price from $27- $30. 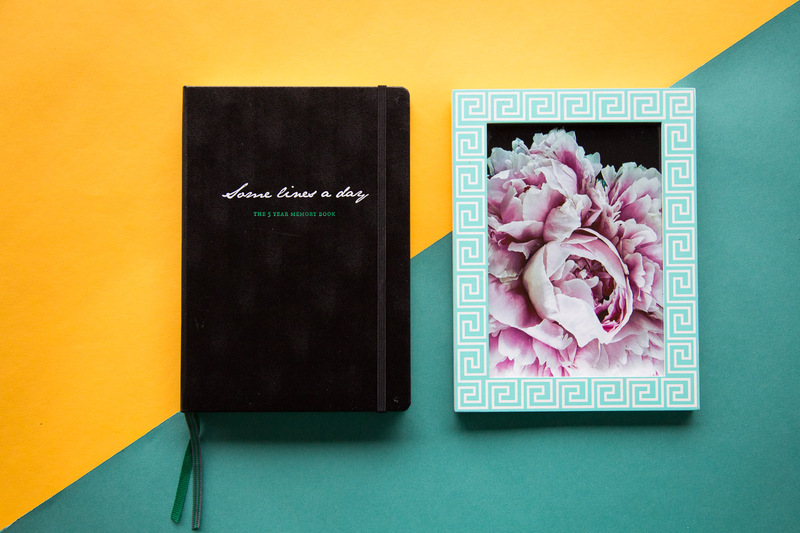 Instead of a photo, record your memories in your own words with a Some Lines a Day 5 Year Memory Notebook. They say a picture speaks a 1,000 words but why not record your memories in your own words? The Leuchtturm1917 Some Lines A Day 5-Year Memory Journal provides dated pages with 5 sections to record 5 years worth of memories. This book is perfect for documenting the joys of a new baby or puppy, recording treasured memories of a budding romance or marriage, or penning years worth of inspiring moments. You can find this treasured memory bank in three colors for $26.95. 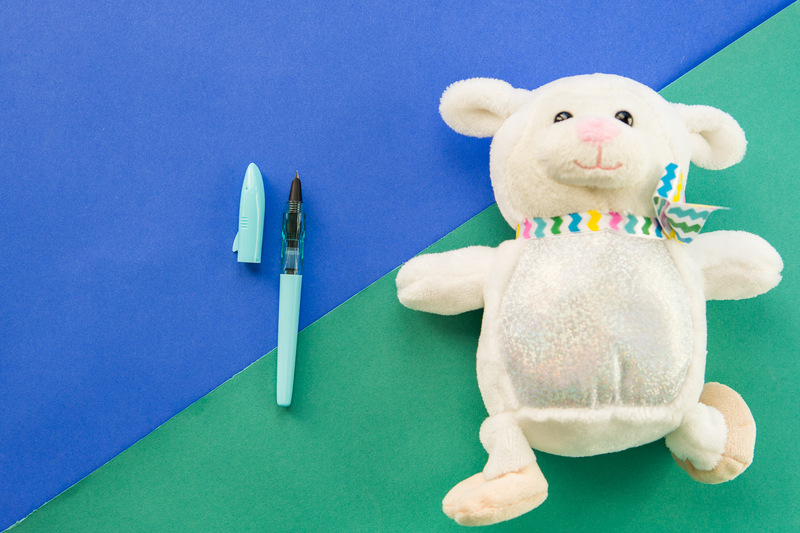 Capture the fun of a stuffed animal in a writing tool they’ll be excited to use, The Jinhao Shark Pen. Getting kids excited about writing doesn’t have to be an uphill battle. Skip the stuffed animals that tend to accumulate over time and offer the young person in your life a shark pen. You’ll be delighted to see them tearing through the pages, writing, and devouring the chance to put their pen to use. 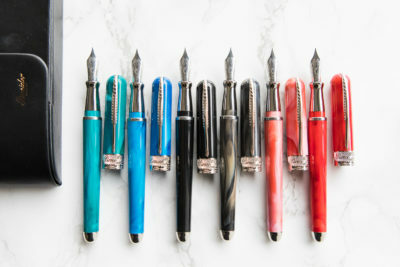 The Jinhao Shark pens come in a rainbow of colors and are only $3.95. 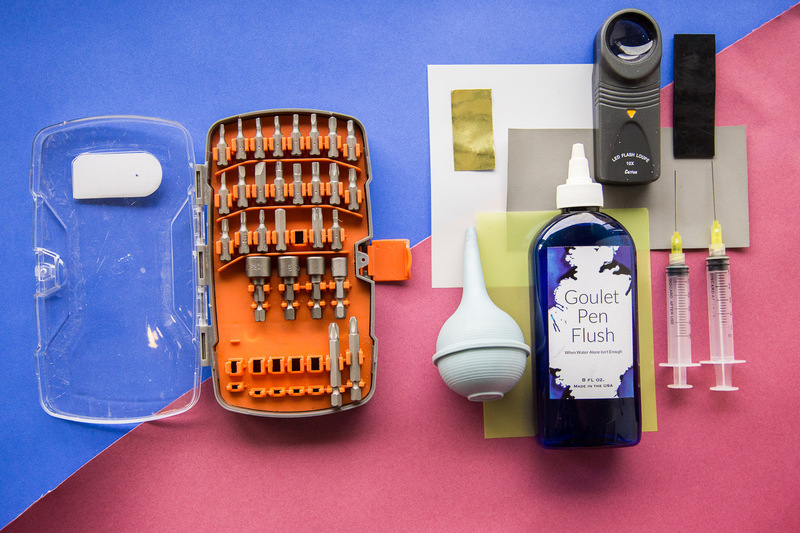 Your favorite tool- savvy tinkerer would LOVE a Cleaning and Tuning Set! 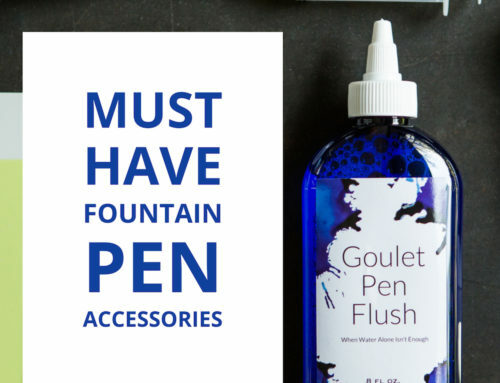 For anyone with a craftsman mind and skilled hands, give them the gift of fountain pens and the tools to dive in nib first. 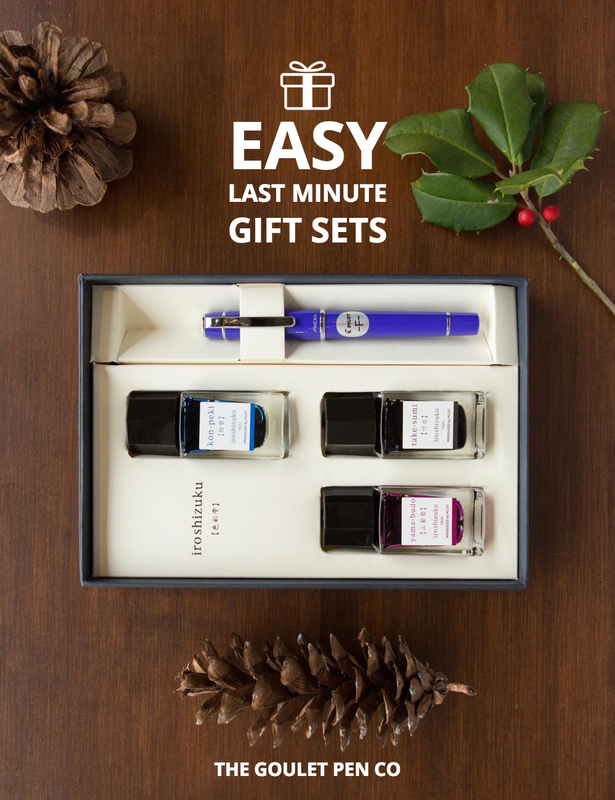 If your loved one is a Do-It-Yourselfer, the cleaning and tuning set gives them all they need for fountain pens from start to finish. They can keep their pens working and fix any issues that arise with the help of these tools and the wealth of Brian’s video knowledge on our YouTube! You can snag a Cleaning and Tuning set for $52.65. Wallets are a dime a dozen, get Dad an All-In-One Life Organizer in the Traveler’s Notebook! 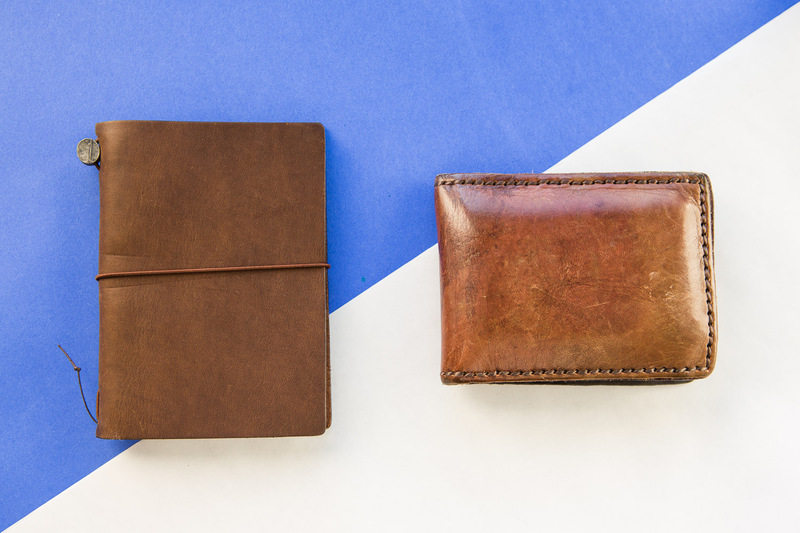 Wallets have been a go-to gift for our father figures and male counterparts for years, try something even better this year. The Traveler’s Notebook- Passport provides a space to store your money, as well as a collection of notebooks to stash away thoughts, lists, and reminders. Dad will never be without his measurements for home improvement projects, nor his cards and cash to fund them. You can find the Traveler’s Notebook in Black, Brown, Blue, or Camel for $40.16. 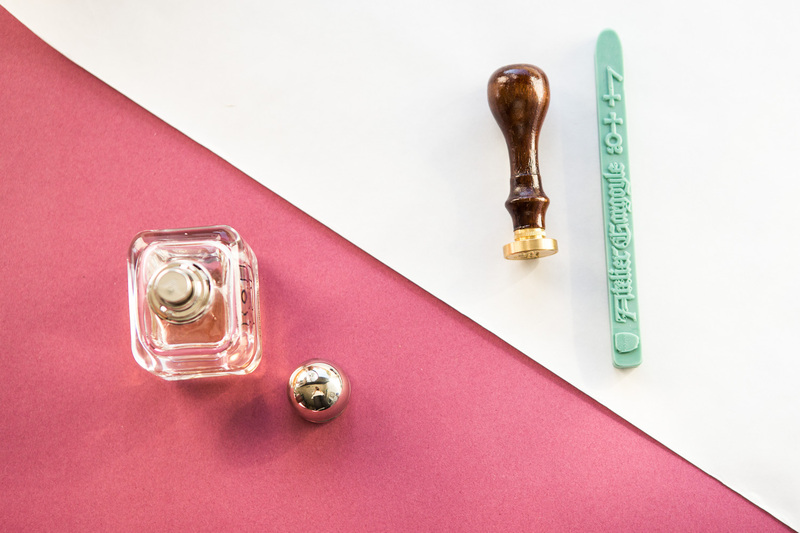 For a gift that takes up less space on the coffee table, swap a book for the Retro 51 Rollerball! There’s a Retro 51 for everyone! These pens feature fun and interesting wraps or textured bodies that will appeal to a variety of hobbies. 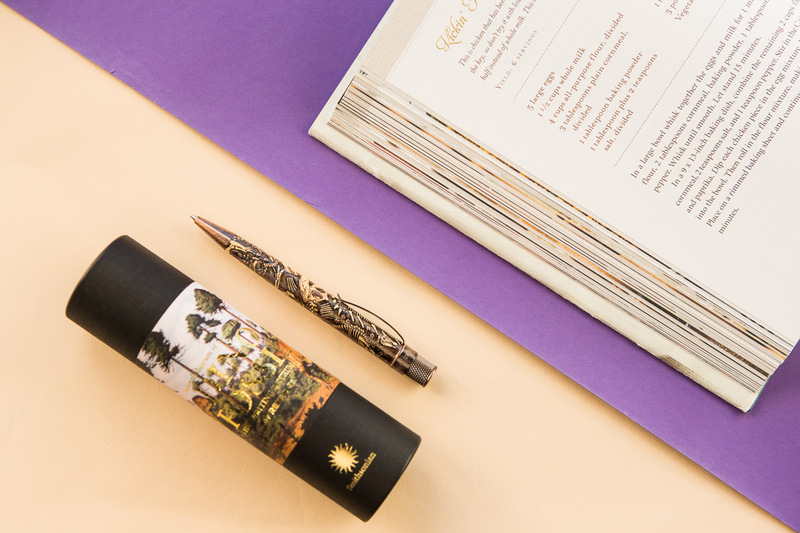 Rather than gifting a book that will take up space on a shelf or table, try giving a portable pen they can take with them on their daily adventures. 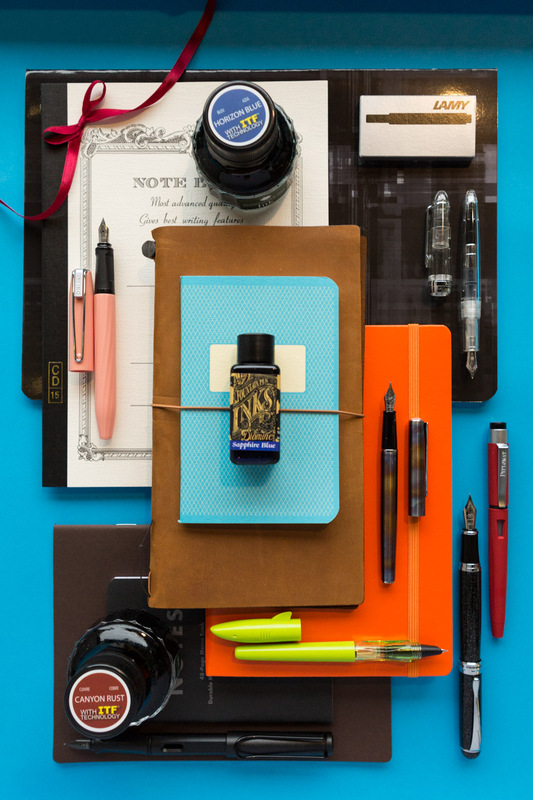 Check out the selection of Retro 51 rollerballs at Goulet Pens! We hope you enjoyed the selection of gifts we offered here. 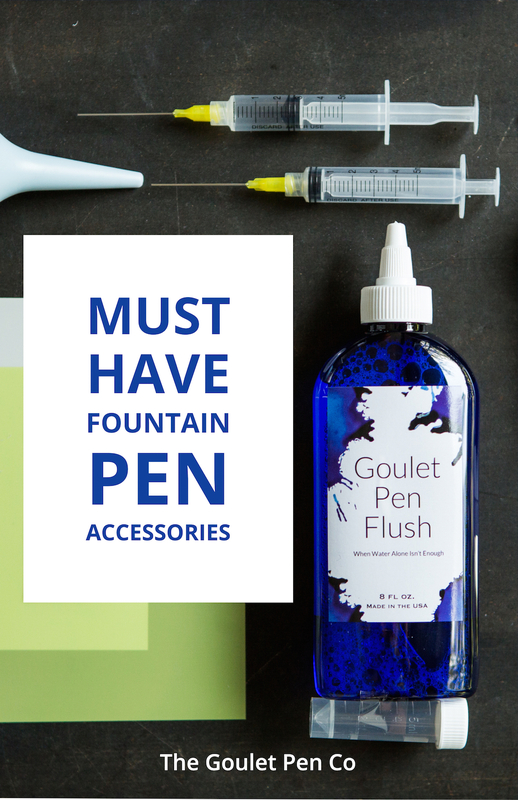 What is your favorite fountain pen or accessory to gift for the holidays? Let us know in the comments below!